* Data Extracted from the Economic and Social Survey of Jamaica 2012 published by the Planning Institute of Jamaica. 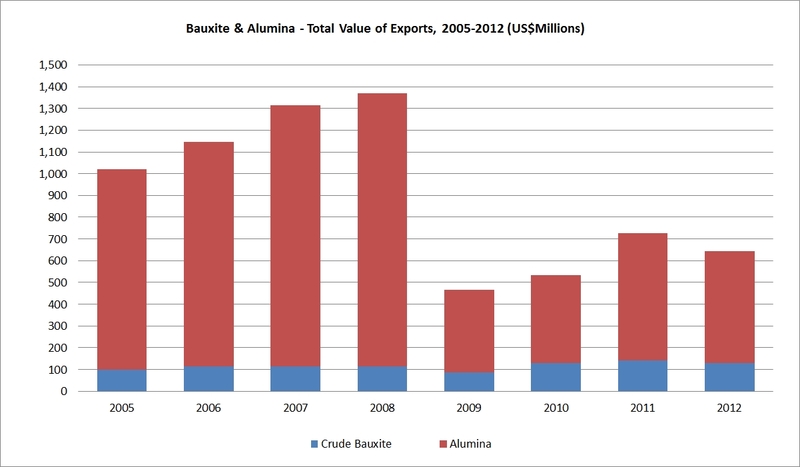 The Motion Chart shows the Total Value of Exports for 2005-2012. Click on the circle that you would like to track on the motion chart before pressing play to begin the animation. This will allow you to track the change over time.